Shutters are the perfect way to transform your property, give light and shade control to any room, add privacy and security as well as striking good looks! 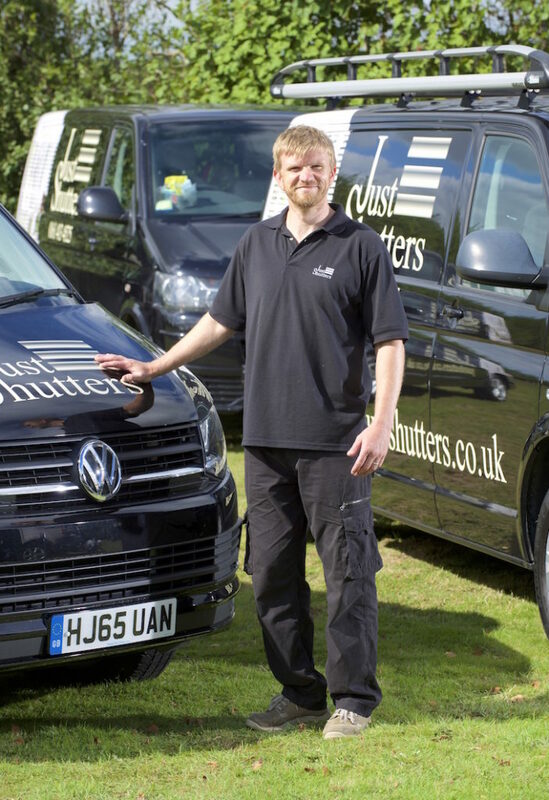 Just Shutters – the finest window shutters Solihull has to offer! Andy Cox-Peel (pictured right) is your local shutter expert. With a life-long passion for carpentry, Andy found his calling as MD of Just Shutters West Midlands. He is dedicated to bringing local people the very best in craftsmanship, design and value. Solihull really is the perfect place to live; the uSwitch Quality of Life Index 2013, named Solihull the “best place to live” in the United Kingdom! It has a rich history and architectural heritage and you can rest assured that whether you live in one of the town’s famous Tudor buildings, a Victorian terrace, or modern dwelling, Just Shutters have the experience and sympathetic touch to transform your home with the care it deserves. 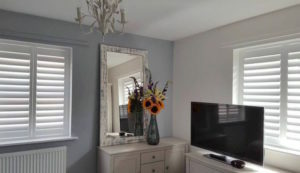 Plantation shutters are a beautiful and extremely practical alternative to blinds or curtains. Unlike the alternative products on the market, shutters offer unrivalled light control, they are hard wearing, wipe clean and can fit even the most unusual shaped windows or doors. Shutters offer a myriad of benefits that make living with them a sheer delight, they offer privacy and security, keeping your home away from prying eyes, while still allowing the light to flood in – no more nets needed! They do not have dangerous pull cords and are are child safe. Shutters are fantastic value, they reduce heat loss and save energy, reduce noise pollution and as an attractive feature that is sold with your home when you move shutters provide a great long-term investment in your home. We also offer peace of mind with our lifetime guarantee. No window shutters may not be as expensive as you may think. In fact, shutters are exceptionally good value for money. This is a result of their hard wearing nature and consequent longevity. Use our calculator to find out how much shutters could cost in your home, alternatively get in touch with our experts who will provide a bespoke quotation. Just Shutters have earned a 9.9/10 rating on checkatrade from over 1800 impartial reviews. See below for a selection of our reviews from our satisfied customers. Plantation shutters in lounge and dining room French doors. So pleased!! Very professional great overall service, and quality of shutters was excellent. You may like to see: Just Shutters Birmingham, Just Shutters Sutton Coldfield, or Just Shutters Redditch.